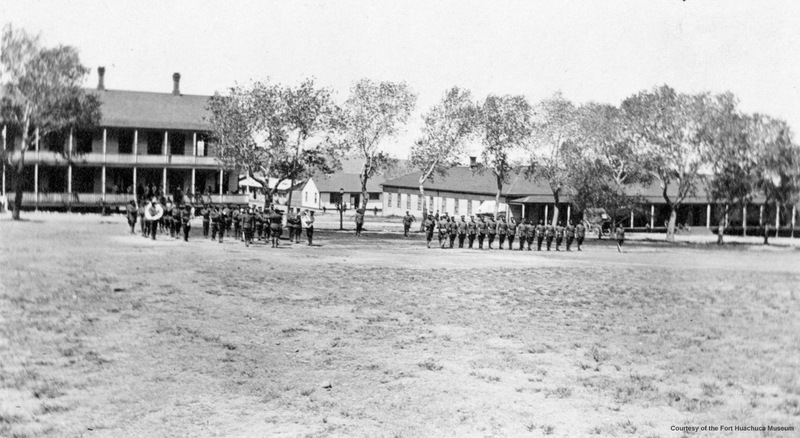 The varied history of Fort Huachuca begins long before its inception in 1877. Established as a garrison to guard against raids by the Chiricahua Apaches and their leader Geronimo in the 1880s, the fort has been continuously used for nearly 150 years—perhaps most notably in the 1910s by the 10th Calvary, a corps of African American soldiers known as the “Buffalo Soldiers”. Join us at Fort Huachuca for a tour of the Museum of the Buffalo Soldier followed by a visit to several archaeological sites. A presentation on the history of the Buffalo Soldiers by Dr. Pat O’Brien (NPS Cultural Resource Specialist, Desert Southwest Cooperative Ecosystem Studies Unit) and a short walking tour highlighting several historical landmarks will also be featured. Fort Archaeologist Martyn Tagg will provide interpretation of archaeological sites and give an overview of the militaristic history of the fort. To register for the trip please contact trip leader Ameila Natoli. Carpooling will be arranged from Tucson.